Lately in Chicago, we’ve had record-breaking weather. Freezing cold temps with below zero wind chills. Snowstorms and black ice on the road. Driving is hazardous, but waiting outdoors for public transportation can seriously jeopardize one’s safety. In extreme survival situations, humans tend to huddle together for warmth. The human body produces its own heat and sharing heat with another person can be lifesaving in some circumstances and simply pleasant when the cold is not life threatening. One way to warm up your muscles in this weather is to move around. (I’d use the word exercise but some people hate the idea of exercising.) Jumping jacks, jogging in place, any full body movement that is easy to do and spreads warmth through your body by increasing blood flow can help warm you up. Another way to warm up your muscles is to receive a massage. The other day I stopped by our Working Well Massage booth inside While Foods Gold Coast and received a wonderful body warming massage by Najat, one of our WWM Massage therapists. The booth was cold, but Najat turned the heat on my legs and her hands warmed my back and arms. Despite the cold weather and wind whistling outside, for 20 minutes, I was warm and dry. Today, January 27, 2014, our WWM Gold Coast massage booth at 30 W. Huron is closed due to the extremely cold weather and our location the windows. 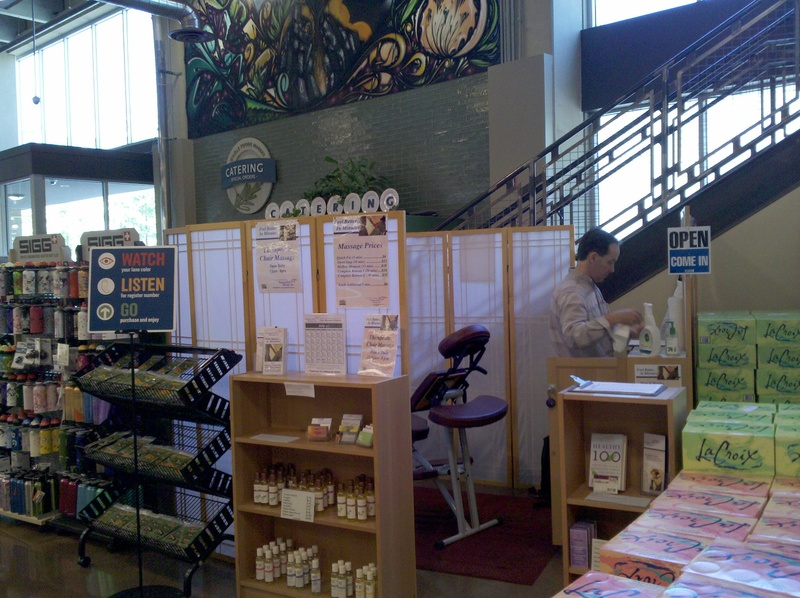 HOWEVER, our WWM Lincoln Park chair massage booth is still open from Noon to 8pm today. If you are daring to brace the cold, “Chigarctica” weather in Chicago today, and feel a need to have warm hands knead your cold muscles and bring warmth and comfort to your body, stop by and let Rania and Yuriy give you a relaxing, soothing massage. And grab some warm tasty food in the food court. Or you can do some jumping jacks and run in place instead. Which is also effective at warming you up, but not as relaxing! Hours: Daily, 12 Noon to 8p.m. This past weekend, we decided to get out of the big city and spend some time in nature! 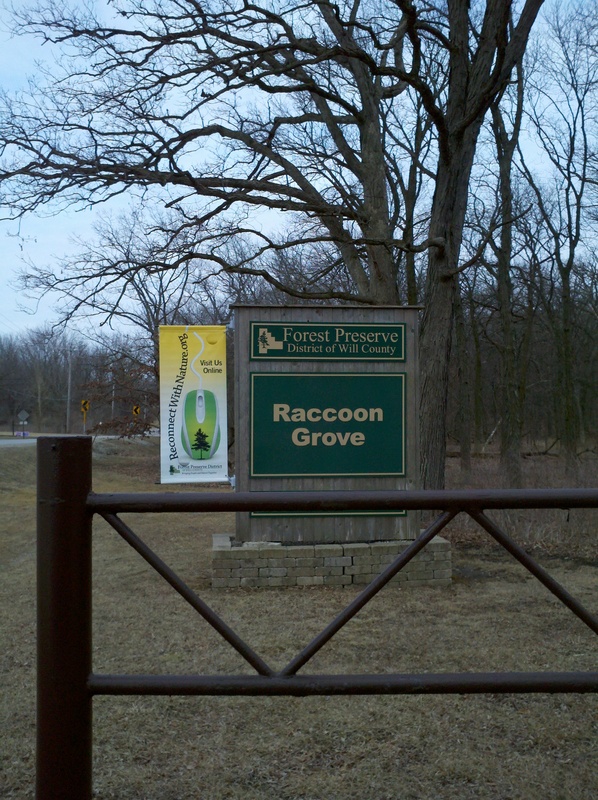 We went to Raccoon Grove in Monee, IL, and saw our first strong signs of Spring. 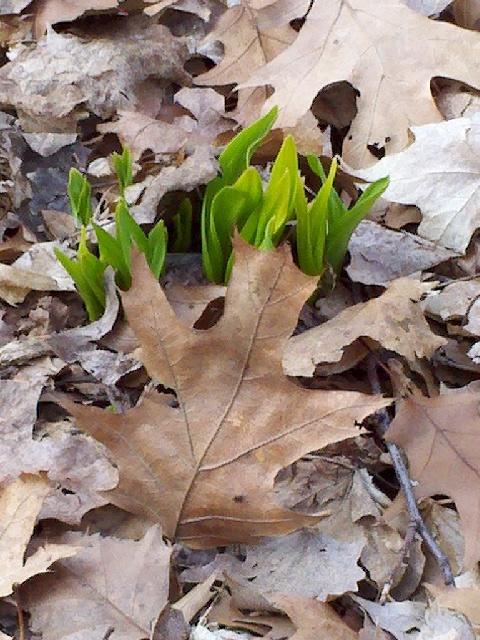 Green buds poking out of the brown dead leaves was a god sign that Spring really is approaching. I also took a minute to record the soothing sounds of a bubbling brook. Listening to water rushing over stones, like listening to a small waterfall, can be peaceful and relaxing. Enjoy the video and make a plan to visit a nearby Forest Preserve soon yourself! Want to relax? 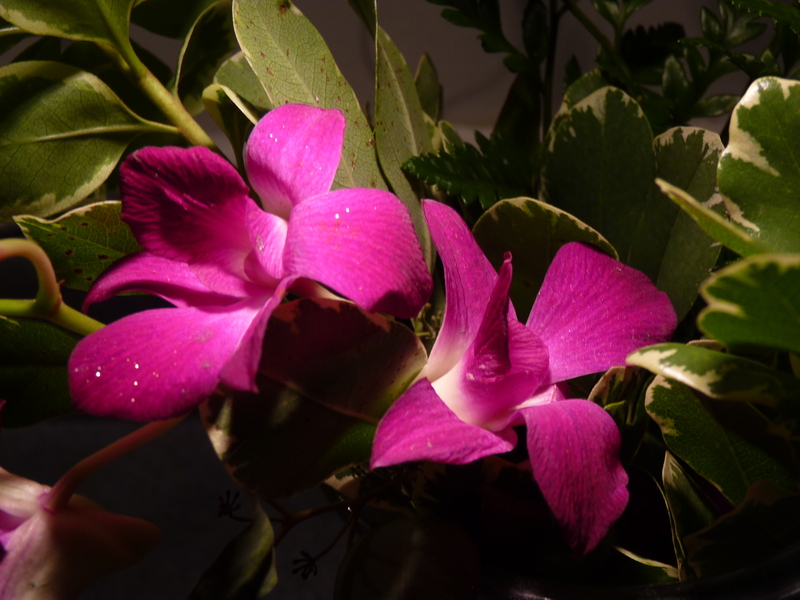 Check out this short relaxation video on You Tube from Paul Collier. Link here.